Give light, and the darkness will disappear of itself —Deciderius Erasmus. What I did was remind myself that every emotional reaction we experience is a choice – a choice to be happy no matter what’s going on around you. To “live in the light” is to rise above the conditions of your life. It’s when we are aware of the reality of our situation, but we don’t let it bring us down. When we live in the light we float like a balloon above the landscape of our lives – free and joyful and untethered by the emotional cords that keep us earthbound. We do not depend on conditions going our way to be happy – we’ve chosen happiness as our state of mind independent of what is taking place. We are content and at peace no matter what. In our contentedness we are detached from the outcome of our efforts, free of the need to be right, free of the need to control, and free from fear and feelings of lack. To live in the light is also to rise above the illusion that we can control anything in our lives. It’s accepting that only in letting go will we find true happiness and contentedness. When we let go we automatically begin to live in the light. Living in the light doesn’t mean everything is perfect though – it means we accept everything as it is. We also accept that not only does everything happen for our good, but that there is nothing but good – and that this good will always be there for us. When we focus on lack – we aren’t living in the light. We’ve sunk back down – and our balloon is once again tethered to the ground. When we focus on lack we are living in fear – fear that there isn’t enough to go round. We fear that there aren’t enough jobs, or enough money, or opportunity, or food, not enough – period. The truth is there is always more than enough. Abundance is all around us – we just need to rise above the conditions by changing our perspective. As we allow ourselves to rise up into the light we will see from our birds-eye view that opportunities abound. When we rise above the conditions of our lives we also rise above the level of the problems we face. There, and only there, can we find the solutions we need. Rise above your problems to the place of eternal calm and clarity and you will see that you always have a choice. You have the greatest power in the Universe at your disposal – your mind. All you need to do is change your mind and the world will change around you. To live in the light is to accept this magnificent gift. But, you can’t do this if you’re cowering in fear and stuck in your dark ways of thinking. Living in the light takes courage. It’s changing from within. It’s leaving the way you’ve been taught to think, and your parents were taught to think, and their parents before them. It takes a lot of inner strength to turn away from the conditions in your life that everyone else is calling “reality” and see a new reality. But, it can be done. 1. Learn to withdraw from the muck of everyday life even if just for 20 minutes a day. Go for a walk, or jog, but do get a change of scenery. Meditate – if you’re not sure how here’s an easy meditation. 2. Do associate with like-minded people. Don’t allow yourself to be pulled back down by negative or toxic individuals. Join a Meet Up group, or read some positive self-development blogs like this one, or visit your other favorites. 3. Realize that you’re not your problems. You are an eternal being of pure good and pure light and joy. See your life from a higher vantage point as an eagle soaring freely way up in the clouds. Put things in perspective, breathe deeply and detach from the emotions consuming you. What’s the worst thing that can happen? What’s the silver lining of the problem. 4. When you have thoughts of panic regarding the problem – say no! or stop! Get in the habit of short-circuiting the fears that are holding you hostage. The more you reject these thoughts the greater clarity and calmness you will feel. Answers will begin to replace the terror that paralyzed you in the past. You can reprogram negative thoughts and replace them with positive ones that serve you. 5. Practice seeing the good in every situation, everything and everyone – and your life. Be grateful for all that you have and train yourself to hold this focus on the good. The more you focus on good, the more good you’ll become aware of and the better you’ll feel. You can renew and restore your life by renewing your mind. You can rise above the conditions of your life – all you need to do is let go of your attachment to the muck that keeps you down. As soon as you let go you’ll find yourself rising just as surely as a helium filled balloon – rising above the conditions of your life. You will become a new person. A person that is so clear of negativity that you emit your own light. And, you will become a star in the night sky that points the way for others with your light. How would you change if you lived in the light? How would your life change? What would you do that you might have been afraid to do in the past? P.S. For more guidance on how to “live in the light,” do pick up my books on Amazon. 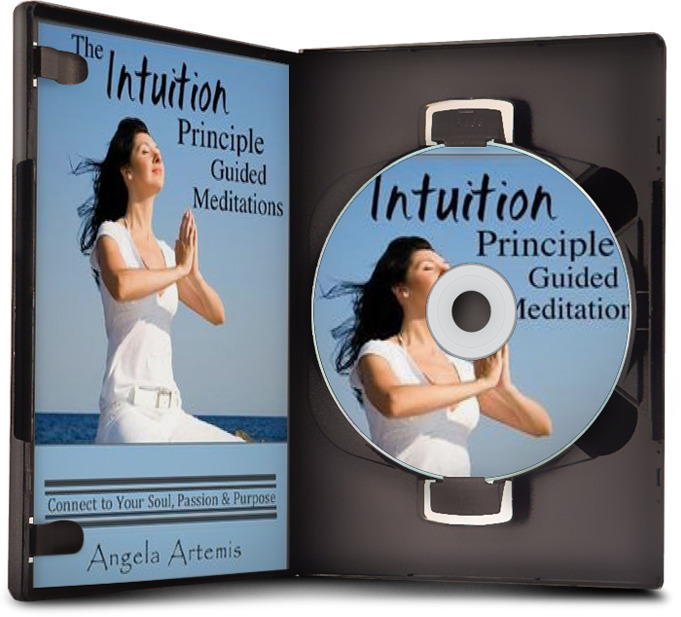 The Intuition Primer will teach you the basics of how to harness your intuition for success. 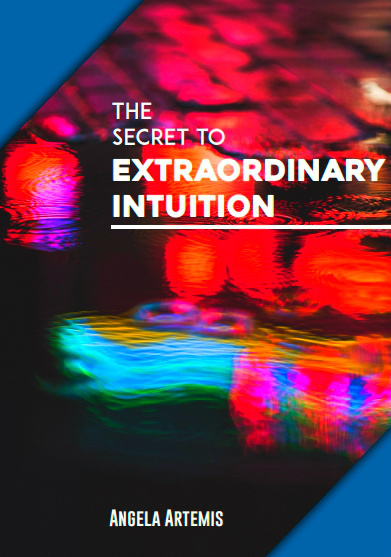 Navigating by Intuition will show how you are constantly receiving feedback in the form of “signs” from the Universe and how to read them in order to navigate successfully through life. 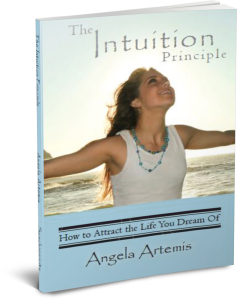 The Intuition Principle will help you uncover your true path and purpose in life and lead you to your greatest successes! A visual that I like to use during meditation when I’m feeling “out of the light” is this: My True Self is the deep, blue unchanging sky. I’m peaceful and happy as I am. All my emotions and thoughts are passing clouds. As a thought or emotion comes up (fear, anger, lack, etc. ), I label it without judgment and put the label on the next passing cloud and watch it drift away. I feel at peace. When my monkey mind starts dancing around in my head spouting off negative, fearful thoughts, I slow down and start to question and face those fears. Once I face them squarely and examine them objectively, they tend to dissolve. I love all of your ideas for turning things around. Those have worked wonders for me as well. Thanks for providing us with more tools and thoughts to move us back into the light! I love your imagery of attaching all your worries to the passing clouds and watching them drift away. Simple and beautiful! I’m so glad you got a lot out of this post as well. This is a wonderful post! I think there is something for everyone in the words you’ve so beautifully written. I think this advice is very inspirational. The steps you mention are simple but will have profound results! I feel that it is very empowering and exciting to live your life in such a way! Thank you for sharing this. I’m so glad you found this post helpful. I love to inspire people to do there very best and greatest in life. I’m so happy you feel empowered. Thank you so much for commenting and visiting. The best advice – choose to live in the light! You give some really great tips for how to move on over into the light when the mind is sitting in a darker place. For me, living in the light, has taken years of practice – often wish it was more “natural” – but, like you say, we can make the choice to not sit in the dark mindset and not stay down. Every one of your five suggestions are powerful ones that really, really work. It’s amazing how powerful things like “getting out of the muck for 20 minutes” are – really powerful in getting ones mind and heart aligned with the positive perspective, the light. Thanks so much. I’m glad you enjoyed this post. I felt it actually shifted my dark mindset at the moment I wrote it! I know the five suggestions are pretty basic too, but I tend to think that basic and simple are best and more often implemented than anything more elaborate and complicated. I am intending to allow more light into my life. I have been tired of letting my fears hold me hostage. I realize that a lot of my plans are going to put me in greater discomfort. However, I know that it is the only way when I can align with my true self. Thank you for being the light that you already are. Love your post – will be sharing it on facebook! I’m so happy to have you visit! I’m glad you’re intending to allow more light into your life – me too! I think we get so used to our fears holding us back after a while we don’t even notice it anymore. It just feels “normal,” at least that’s how it is for me. Only when I stop and really go deep do I see how much I’ve allowed myself to be held back. I completely understand why releasing your fears and forging ahead anyway would feel uncomfortable. Thank you so for saying such a lovely thing! I’m so glad you loved the post. I hope the post helps you push past your fears! Thanks so much for sharing it on FB too! Everyone should read this to ensure a great 2011. Angela, keep up the great work – and let your light shine always. Thank you so much! What a beautiful thing to say. I’m really touched. I will try to ensure my light shines brightly every day! How are you? I’m so glad you enjoyed this post. That’s a terrific way to explain it: there is good and bad in every situation, but it’s what I choose to focus on that matters. I’m so glad you’re living in the light now too! I’ll see you up there – way above the maddening crowds! I’m so happy to see you! I was wondering if everything was okay these last two weeks. I’m so glad you’ve realized that “dimming” your light to fit in isn’t the answer. I love your bright bold light just as it is! It’s hard to live in the light – people who don’t understand want to bring you back down to their reality, and it does “dim” our light for sure. I’m so glad you’ve reconnected to the clarity, peace and joy that was always there within you. I’m so glad my post helped. That’s the greatest compliment I can receive – ever! I love the metaphor of living in the light. It is so easy to get pulled down into darkness. We’ve all been there. It does take courage to focus on all the good and put aside our troubles. Your blog inspires. Thank you. I’m so glad you enjoyed this article and found it inspiring. Thanks so much for visiting and leaving a comment. This is a beautiful, powerful post, Angela. The light and your steps to live in it are what Abraham-Hicks calls getting in the vortex, and that’s where our power is. I’ve found that when I get stuck in the dark, it’s because I’m LETTING myself be stuck there. It’s a form of wallowing. 🙂 And you’ve provided some great steps to get out of the mud puddle. Thanks so much for “translating” my article into Abraham-Hicks speak for the LOA followers here. Yes, I so agree with you. When I’m stuck, it’s exactly the same with me – I’m letting myself be stuck there. I’m glad you found the tips I shared helpful. I agree with you. Every emotional reaction we experience is indeed a choice. It is up to us to choose how we wish to perceive the things that happen to us. Unless we control our perceptions and remain aware of our negative thoughts, it is easy for negativity to overwhelm us. While there is the obvious drawback of feeling depressed, it also makes us less able to cope with life and its challenges. This is why I feel it is important to live in the light to rise above the conditions of life as you say. I love the points you have brought up and there is one experience I want to share. To have such composure we need to have acceptance and awareness of the bigger picture. Whenever I got a bad reading for my divinations, I used to feel depressed, especially during my early days when I was just starting out. But over the years I came to realize that good and bad were part and parcel of life. In order to reach my goals, I had to go through periods of difficulty as indicated in my readings. These were necessary to help me grow in experience or a necessary part of the process. When I was aware of this bigger picture, I could become aware of my reality without feeling bad. To live in the light we must master our mind. That is the most important step. To be in control of our thoughts, especially the way we think. I used to think in a mostly negative fashion. But I managed to rise above that over the years. I won’t say my self-mastery is perfect, I still slip back into thinking negatively from time to time, but I have greater control over myself than I did before. The important thing is not to give up being aware and mastering ourselves. I enjoyed reading the 5 steps for getting out of the dark. You have included very helpful links to get us back into the light again. The one I enjoyed most is reading the Daily Brainstorm. When you read uplifting and positive articles, it helps you to see things in a positive way. It’s so good to hear your story. I think being human we all struggle with being down once in a while, or even depression. We’re human after all! But, as you say, mastering them mind is most important. We need to be vigilant in listening to our thoughts. If we start to slide down into the sludge we need to stop and consciously deal with what we’re allowing to pull us down. We will always have times when life is hard and experience down days, or maybe even weeks, but if we train ourselves to see the value in what we’re going through and learn from our experiences we’ll come out stronger in the end. I’m glad you found the tips helpful. Thanks so much for sharing your experience with us here. We can all learn so much from one another. Very well said Angela. I’m sorry you’ve been down a bit but it appears that you’ve turned it into a positive and produced this great post. You mentioned ‘surrounding yourself with like minded people’. Yes, very, very true. That’s why I love the blogosphere. I read/follow people who sustain my positive thoughts, which is something we all need at one time or another. Have a wonderful weekend Angela. I’m feeling much better now. Thank you. And, yes like you I find the blogosphere very uplifting~! You have a wonderful weekend too Marcus. Great post! A Must read for having 2011 as best year. How would you change if you lived in the light? I am living in the light. In fact some of the challenges such as losing a parent during childhood and facing downsizing has challenged me to live in the light. My life has changed in the sense-I choose to live in the moment. Seek opportunity in every adversity. What would you do that you might have been afraid to do in the past? I have become aware that it is important to give attention to any emotion -negative and positive. If it is negative, become aware, learn to feel it, internalize, do EFT or deep breathing or Yoga, or writing gratitude journal-Diffuse the negative emotion. Then your logical brain works like magic. Basically now I look for ways to turn fear to faith and love. It’s so nice meeting you. Welcome to Powered by Intuition. Yes, it sounds like you’ve had a lot challenges in your life. I’m glad you learned from them and can take the “high” road though. Living in the moment is a big thing – it can lead to wonderful and often unanticipated opportunities too! I love what you said about giving attention to any emotion, negative or positive. 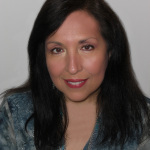 EFT is marvelous for removing the “zings and pangs” of turbulent emotions we still have about events in our past. I couldn’t agree more diffusing negative emotions is so important. I love that you you now look for logical ways to turn fear into faith. Bravo!! We can all take a lesson from you Lalitha. Thanks so much for sharing so much of your story here with us. Keep me posted on how things are going in your life, okay? I hope 2011 is better year for you. I love the light. So much so I look for it everywhere. Then living in it is to be a part of it. Brilliant Angela to shine some of your own here! I’m so glad you shared your thoughts here. I love this part of your comment: Then living in it is to be part of it. So true! To live in the light is to be part of it. And after all, isn’t our real essence part of the light? Thank you so much for visiting and adding to the conversation here John. This is a wonderful and complete guide, Angela. Learning to take control of the jumping-monkey nature of the mind is essential to living “in the light” with peace, joy and ease. When my mind is a frantic hither and yon of flittering thoughts I make it a point to become the “objective observer” … like being on the top floor of a building – watching a circus parade go by with all of the animals unchained and roaming freely about. I love this analogy of being on top of a building and watching the circus go by. It’s a marvelous way to pull yourself out of the emotional turbulence of the problem. I shall remember to think of it the next time I’m in a tizzy! When I master that one I will truly be living in the light. I’d forgotten about the Serenity prayer. How perfectly it applies here. Yes, and me too. I’m still very much a work in progress myself! Thanks so much for visiting. Happy New Year to you! For me, living in the light means to live by love. When we extend love to others and to ourselves, the light becomes so bright we can see all of the possibilities around us. Beautifully put Alex! Yes, always asking, “what would love do” we can really steer our boats right, can’t we? I love this: the light becomes so bright we can see all of the possibilities around us. How true that is! Yes, I hope the light always shines too! What would I change? Listen to my intuition more when something isn’t working out and stop complaining. Find a way to change it…. Yes, I agree – being grateful for all we have – and even for things before we have them. Brilliant! Listening to you intuition is a biggie! I was always able to tune in for other is readings but when it came to me – I always second guessed my intuition, and to my detriment. Thanks so much for commenting. It’s always a pleasure having you visit.